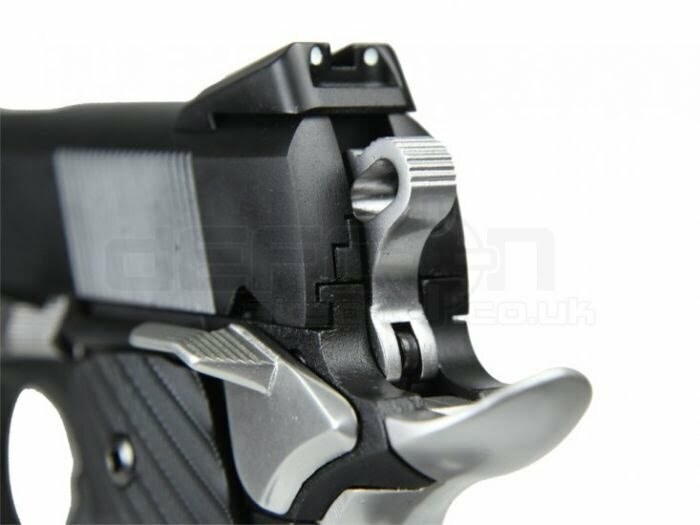 A unique pistol that’s going to get the attention of any airsofter! 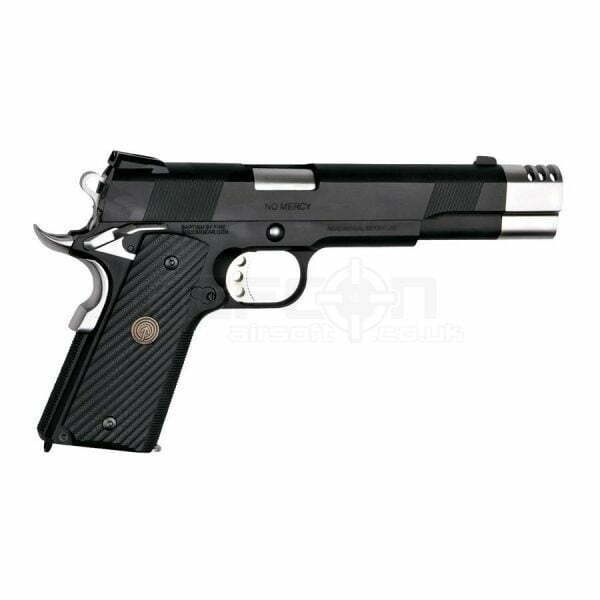 With a full metal design this pistol does have some weight but is still very nice to hold and use all day long. 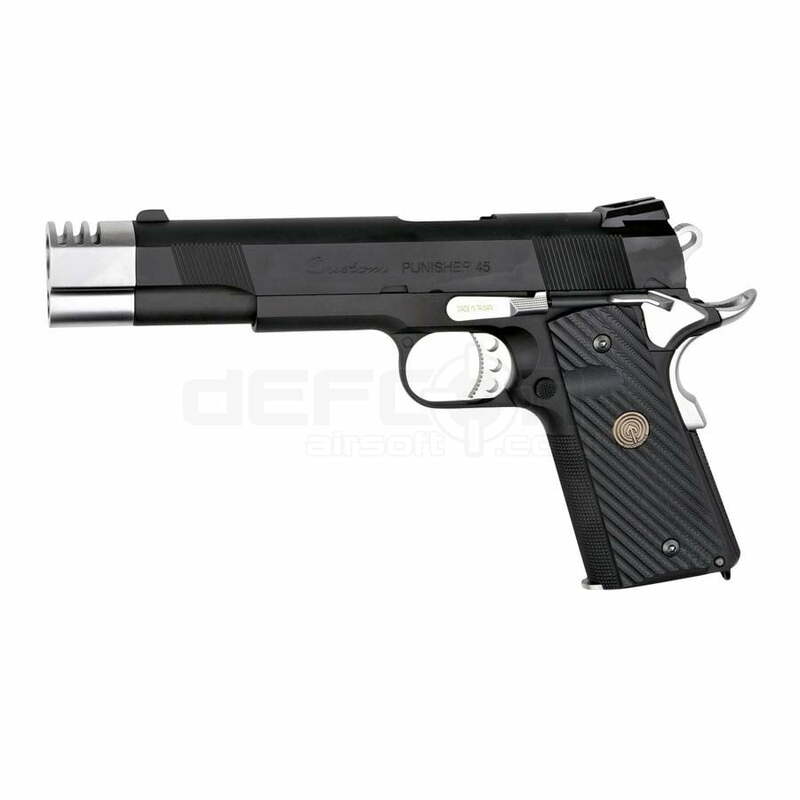 An ideal pistol for enthusiasts or anyone looking for a really nice show piece. 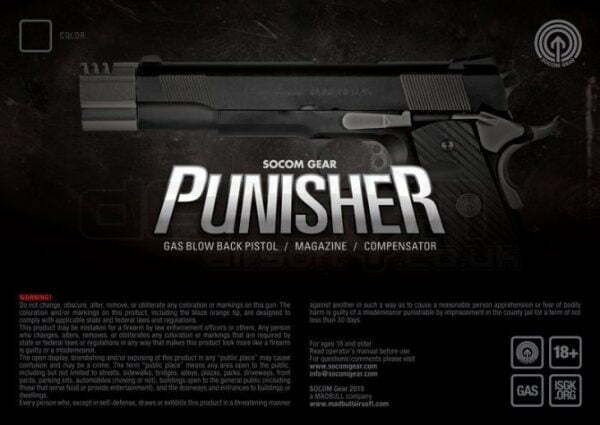 Just like the unique pair of 1911 pistols wielded by Thomas Jane in Marvel film THE PUNISHER, this high quality 1911 from SOCOM Gear with a beautiful matte black powdercoat finish and chrome ‘compensator’ and accented features like trigger and hammer.